Media circles have been constantly abuzz highlighting the differences between Pawan Kalyan and his brother Chiranjeevi. Although they have never vented ire on one another openly, speculations are quite rife about their supposedly bitter relationship ever since Chiranjeevi merged his political party with Congress. Making these differences evident, Naga Babu condemned Pawan Kalyan’s absence for many of their family gatherings and functions. 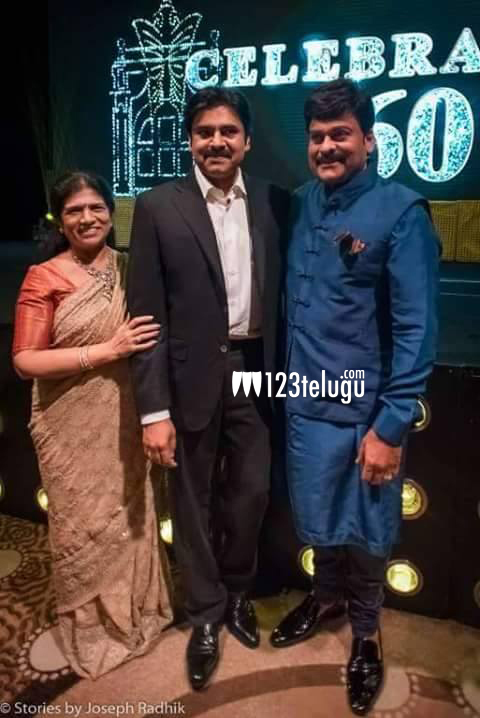 Putting an end all these speculations, Pawan Kalyan graced the high-profile birthday celebrations of Chiranjeevi that were held in Park Hyatt last Saturday. He greeted his brother and spent some time with his family. These moments brought a big cheer for all the millions of Mega fans who were thrilled to see them together again. 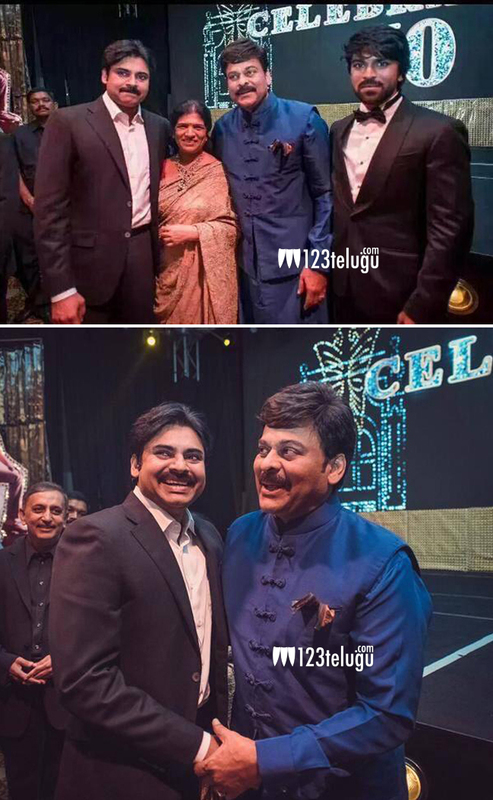 Here, we are bringing a lovely photo moment of Pawan Kalyan and Chiranjeevi family. We also invite lovely comments from our readers.